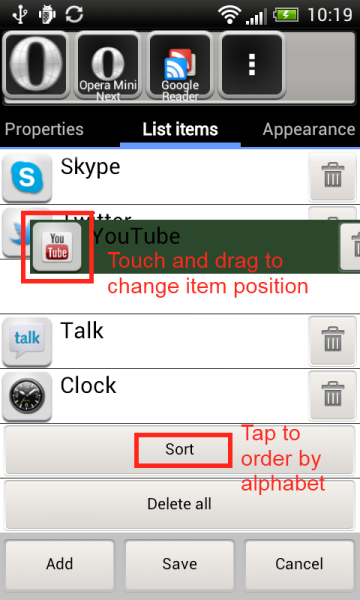 To make automatic sort use button "Sort" at the bottom of the items list. 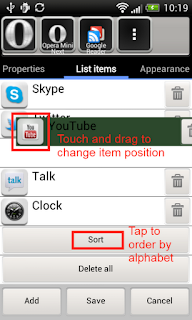 Use drag and drop to sort list of items manually. You should tap on item icon to start drag and drop.